The Department of Justice’s (DOJ) Office of the Inspector General (OIG) has referred fired FBI Deputy Director Andrew McCabe to the U.S. Attorney’s Office for the District of Columbia for criminal prosecution, multiple reports indicated Thursday. Inspector General Michael Horowitz’s investigation of McCabe’s involvement in leaks to the media concluded last month. The final report indicated three instances in which McCabe lied to investigators, prompting Attorney General Jeff Sessions to fire McCabe even before the report was released. On Thursday, multiple outlets reported that Horowitz’s office also made a criminal referral based on McCabe’s conduct outlined in the report to the office of U.S. attorney Jessie Liu, the top federal prosecutor in the nation’s capital. In contrast to the headline-grabbing criminal referrals made by members of Congress, this type of referral is part of the DOJ’s standard operating procedure and stands a much better chance of resulting in actual criminal charges against McCabe. It is unclear exactly when the referral was made, exactly which charges were recommended, or how it was received by Liu and her office. 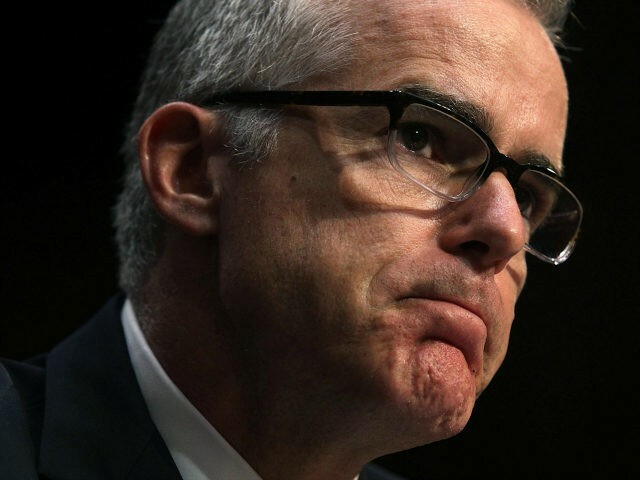 After his firing, McCabe, making frequent appeals to President Trump’s opponents, managed to raise more than $400,000 for his legal defense fund, perhaps in anticipation of criminal prosecution. The prospect of criminal prosecution for McCabe’s alleged “lack of candor” raises the prospect of a further showdown over the credibility of McCabe’s former boss, fired FBI Director James Comey. The OIG reports that conclusions against McCabe rest largely on the two men’s designations of each other as liars based on how they relayed their discussions of the leak. McCabe attorney, Michael Bromwich, has made it clear his defense will be based on calling into question the accuracy of Comey’s account. If McCabe is tried, Comey would likely be a material witness to his alleged crimes, creating the possibility the men’s dispute will have to play out in a court of law.